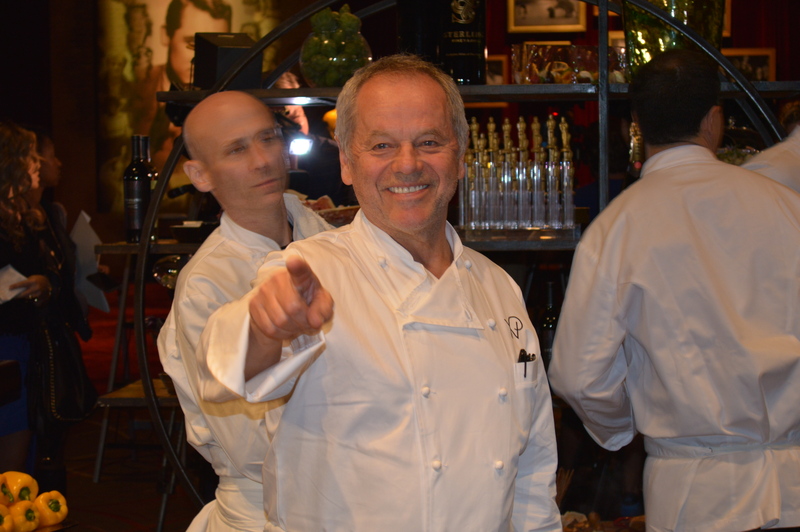 Master Chef Wolfgang Puck returns to prepare this year’s Governors Ball, the Academy of Motion Picture Arts and Sciences official post-Oscar celebration. This elite party immediately follows the 87th Oscars ceremony on Sunday, February 22. The Ball invites 1,500 guests that includes the Oscar winners and nominees, as well as the show presenters and telecast participants. Wolfgang Puck and Matt Bencivenga, chef partner of Wolfgang Puck Catering have created a menu of more than 50 imaginative dishes from bite-size hors d’oeuvres to stellar desserts. Some of his signature small plates include a lobster BLT; chicken pot pie with shaved black truffles; crispy artichokes with a citrus-chili gremolata, beet latkes with pastrami duck and apple mustard and slices of his famous pizzas. Wolfgang Puck Fine Dining and pastry chef Jason Lemonnier, along with Kamel Guechida and Della Gossett are preparing elegant desserts that include coffee Oscar lollipops; peanut butter and jelly lollipops; violet creme brûlée with a blackcurrant jelly and Puck’s traditional 24k gold chocolate Oscars. Founded in 1964 by Sir Peter Newton, a British Knight and Oxford scholar. Sterling Vineyards in Napa Valley is modeled after a Greek Monastery. The lucky party revelers will enjoy the exclusive, custom-made Sterling Vineyards Limited Edition Gold Standard Reserve White and Sterling Vineyards Limited Edition Red Carpet Reserve Red. They will also serve Sterling Sauvignon Blanc, Chardonnay and Pinot Noir. 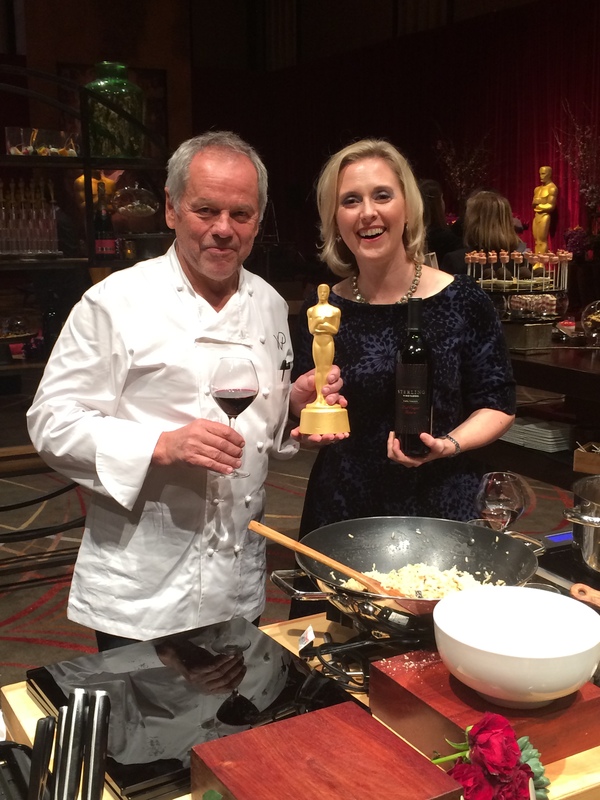 The wines were chosen by Alison Rodriguez to pair with the dishes prepared by Master Chef, Wolfgang Puck. She starts working and selecting wines 6 to 8 months before the Big Day. The Gold Standard wine pairs nicely with Puck’s Dover Sole with fennel, chili and orange miso vinaigrette. It’s silky with bright grapefruit, pineapple and pear. 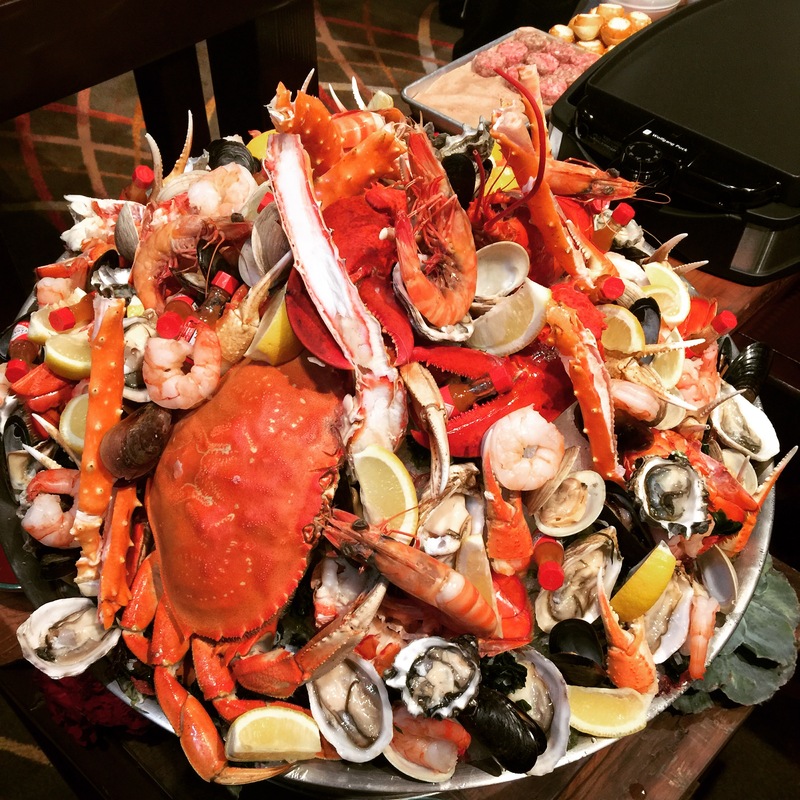 This wine also goes well with Puck’s smoked salmon Oscar matzo statue and fresh seafood platters. The Red Carpet Reserve pairs well with his Wagyu short ribs with hay-smoked kabocha squash puree and his mini-American Wagyu burgers with aged cheddar and a remoulade sauce. The Red Carpet Wine offers exotic spiciness and complex flavors of black cherry, plum and cocoa and a velvety finish. Wolfgang Puck is the Disneyland of Food. Sterling Vineyard Wines is the ideal pairing. Watch the 87th Oscars ceremony on Sunday, February 22.